…followed by a hot and sunny day today. So even if I had to endure the onset of hyperthermia, followed by the first sunburn of the year, I came home with a stunning selection of pictures. 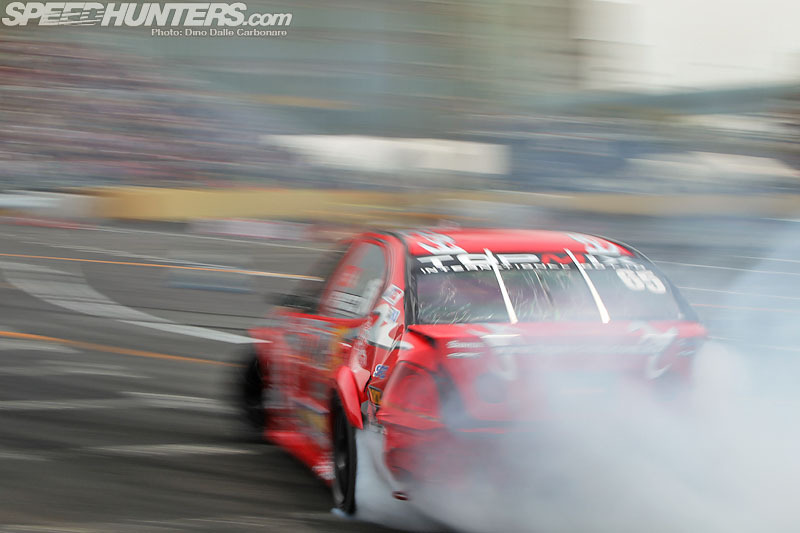 Who says drifting without tire smoke is boring? Today’s Champions exhibition round was won by Koguchi, who is now driving Imamura’s old Auto Produce Boss S15 and has obviously found himself right at home, storming through to the final after a series of close and impressive battles. Daigo Saito, who came away with top points at yesterday’s Round 1, was putting on quite the show today, using all the power of his JZX100 to vaporize his rear Achilles tires. This year the track has been redesigned, with the cars coming in from the opposite side of the usual course layout and snaking around two more infield turns. 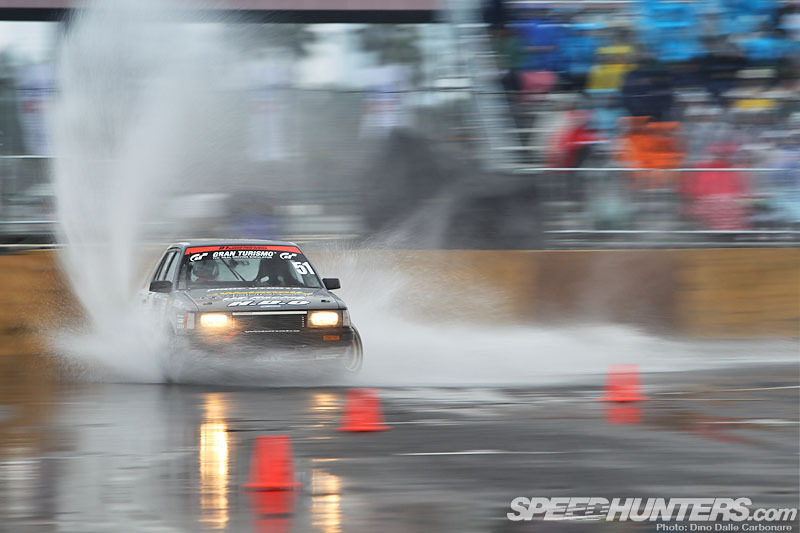 The massive puddle right in the middle of the main judged corner yesterday produced some pretty dramatic splashes as Iwai, in his new H.D.O. Quick Style Daihatsu Charmant, shows us here. It is really great to have Nobuteru Taniguchi back in D1, to say the sport lost a big slice of personality after he left would be a big understatement. He was back driving his old Altezza for this first round, as his new supercharged Toyota 86 isn’t quite finished yet. 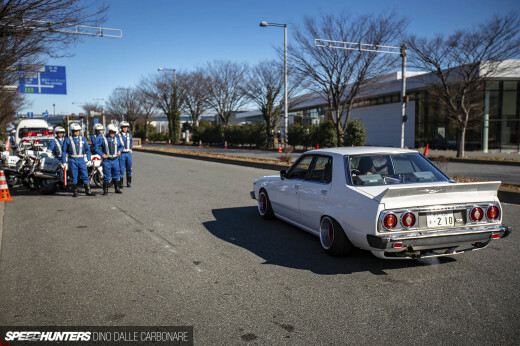 …as was Hibino’s Up Garage with DRooP 86 running a 600+ HP AVO special Cosworth EJ25 motor. Hibino had a big crash during practice on Friday, smashing his rear subframe to bits. Ross from AVO Turboworld took the piece back to the shop and in an hour fixed it all up, so that the car would be ready to be used first thing on Saturday. Hibino however, was finding it a little hard to get used to it initially. Koguchi showing how it’s done in his S15. 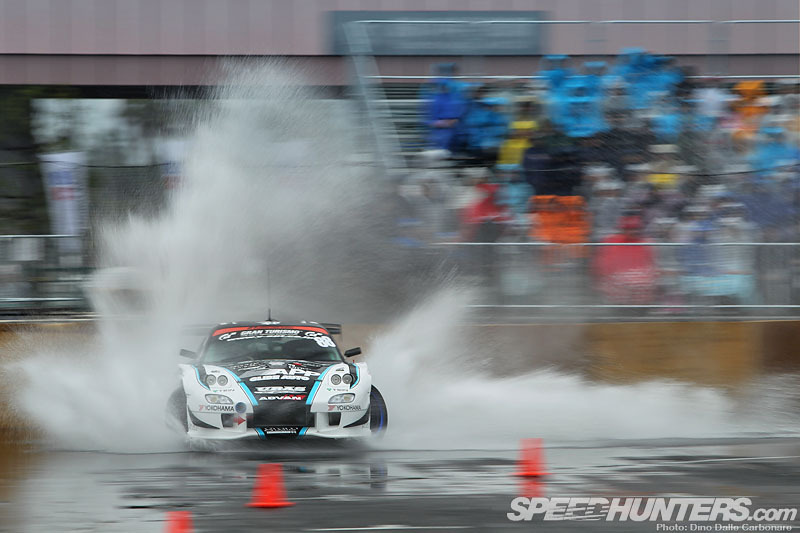 Saito continues to be one of the most extreme drivers in the series, puling physics-defying moves. However sometimes he also gets it wrong, like above where after hitting the standing water hard, his car straightened up and kissed the sponge barriers. I’ve got splash shots of pretty much every single car that competed yesterday! 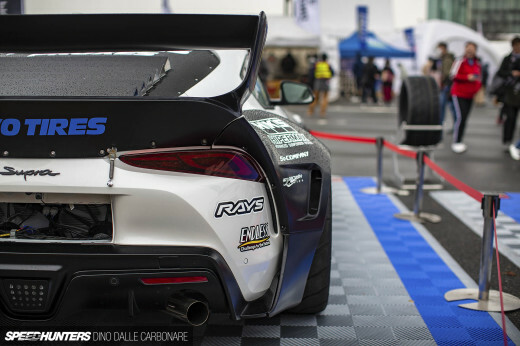 Another driver that really stood out was Kumakubo, his Laurel back in top form after the engine failure at last year’s final round in Fuji when the oil pump belt came off and starved the engine of lubrication. His RB26 was screaming away all weekend and his driving was unbelievable. …which ended up with Federico Sceriffo and Jake Jones in a very exciting series of runs. Federico grabbed the win, making his trip over to Japan a very successful one. 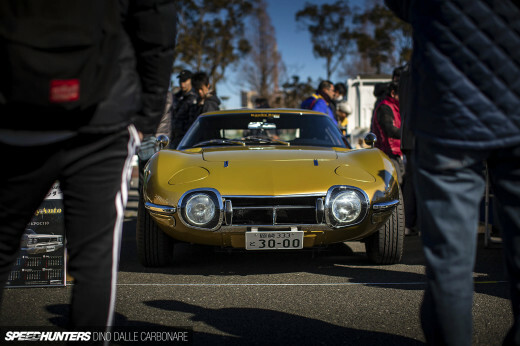 There is much more to come from Odaiba so stay tuned for more! You gotta make some wallpapers out of these images, they are epic. Good work guys! Ok, so Koguchi is driving the Auto-Produce Boss S15. I can see Imamura is now driving another S15, does anyone know who's car this is?